If it wasn't for Hearthstone, Gwent probably wouldn't be the public beta success that it is right now. 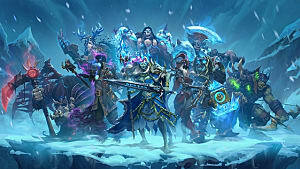 Until Hearthstone's release in 2013, card games were not terribly prominent in the mainstream gaming community, and they were mostly shunned as a niche that a lot of gamers didn't really care about or take seriously. But that's all changing now. Many professional Hearthstone players, like Lifecoach, have come out and said that Gwent is the better game. Is it? Can the two even be compared? 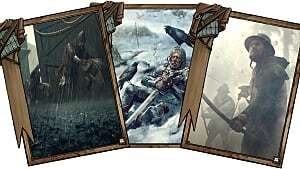 Hearthstone and Gwent are two completely different games, and I'd argue that the most significant similarity between the two is the simple fact that each game uses cards and decks to face off with an opponent. Other than that, they're two completely different CCG experiences. If you're a Hearthstone player trying to transition over to Gwent, here are some of the most important differences you're going to encounter. In Hearthstone, you win a game by depleting your opponent's health to 0. 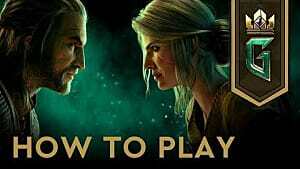 Gwent takes on a much more traditional and simple approach. 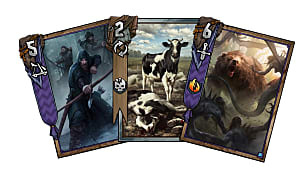 Whereas Hearthstone cards have multiple elements to them, you're only really looking at a single number on a Gwent card -- and that number effectively is a score of "points" that you're gaining by playing the card. If your opponent has a 7 and a 5 on board, you immediately know that if you play less than 12 points worth of cards, you're losing. 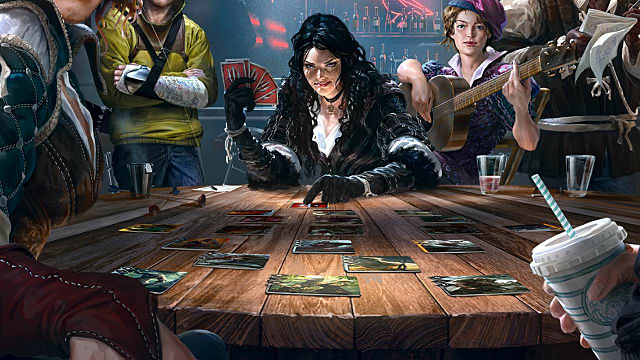 There's no health total in Gwent -- and unlike Hearthstone, there are three rounds to a match. The multiple rounds are what prevent it from being strategically optimal to just dump as many cards as you can from your hand onto the board. Hearthstone cards' associated cost is mana. Mana does not exist in Gwent, but there's still an associated cost. 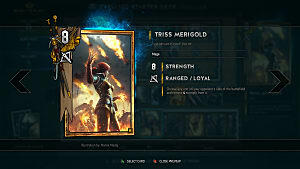 On your very first turn in Gwent, you can play your most powerful card. Deck and hand size are also resources in Hearthstone, but it's the main resource in a Gwent match. Knowing how to win a round by the smallest margin while retaining the largest hand size is key to becoming great at this game. Passing a turn in Hearthstone usually only occurs if you don't have any cards available to play at your current mana total, or if you already have a sufficient enough commitment to the board from the previous turn. 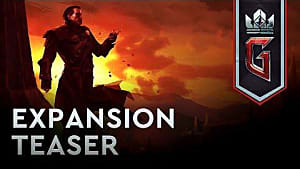 In Gwent, I'd argue that passing is probably the core mechanic that makes the game so much more complex and strategic than Hearthstone. In Gwent, passing a round is effectively forfeiting all remaining turns and allowing your opponent to play cards to their heart's content. Passing while you're ahead means you're unwilling to commit any further to the board and you're challenging your opponent to match you, and passing while you're behind is a forfeiture of that round. 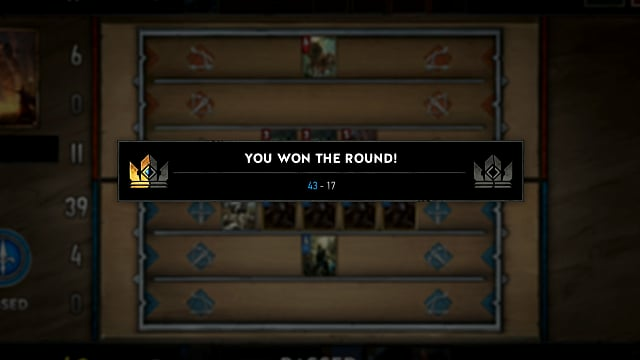 The tug-of-war that goes on through each round of Gwent is gauging if your opponent has committed more than they should have, and if conceding a round to them will give you a resource advantage going into the next two rounds. This means that no matter what, at the very least your deck will consist of 10 single copies of cards. 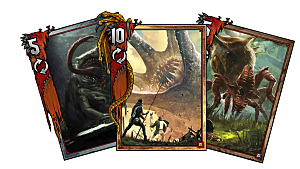 However, should you choose to have a deck of 25 cards (as you can have up to 40), having three of a single Bronze card means that over 10% of your deck consists of that one card. That's incredibly more consistent than Hearthstone and allows for a gameplay experience that feels relatively similar each game. Complimenting this is the fact that Gwent games start off with players having 10 cards in their hand, not three or four like in Hearthstone. 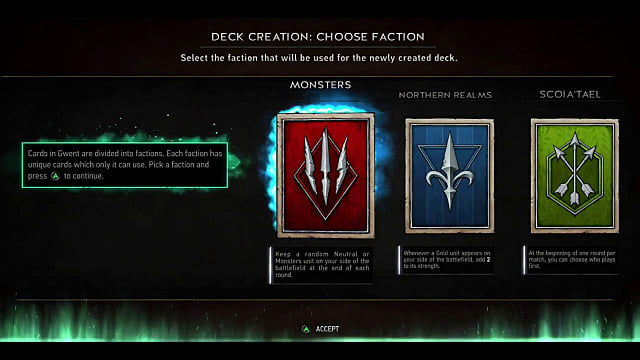 The design of your deck in Gwent is arguably much more meaningful than in Hearthstone due to these factors. Your early-game minions are going to get sniped and you completely lose board control (and probably then the game). You're going to get lucky and then you can effectively trade your minions into your opponent's low-value minions and overwhelm them due to their small hand size. In Gwent, you don't live and die by RNG. RNG is a small element of the game that can definitely effect the outcome, but cards aren't going to have such overbearing random effects that games will be entirely decided by them. A good example is Reinforced Trebuchet. 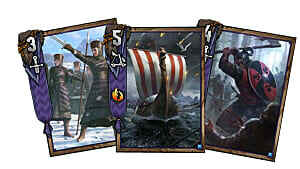 Every turn, this card will remove 1 strength from a random non-Gold enemy unit. Removing strength from on-board units and completely killing off an early-game minion, as Knife Juggler does in Hearthstone, are extremely different. Gwent's style of RNG is more conducive to feeling like your game experience wasn't just completely ruined by some card with a random effect. As you can see, Hearthstone and Gwent is kind of an "apples and oranges" situation. They're both card games, but other than that you're going to see some pretty extreme differences. 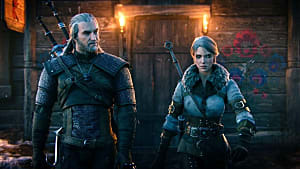 And if you're making the transition from Hearthstone to this new Witcher 3-inspired CCG, you'll want to take special notes of the mechanical discrepancies so you don't find yourself on the losing end of a match.